Articles Is Your Cat Eating More – Or Less? Is Your Cat Eating More – Or Less? Do you ever notice that your cat eats less during the warmer summer months than during the cooler wintertime? According to a four-year study of 38 cats published in PLOS ONE journal, April 2014, there may well be a correlation of a cat's food intake and seasonal changes. PLEASE NOTE: Do not confuse a sudden appetite change or rapid weight loss or gain with seasonal changes. If this occurs, please consult your veterinarian. According to the study mentioned above, the cats ate the most between October and February and the least between June through August. During the spring and early fall, food intake fell somewhere between these extremes. During the summer the average food intake is about 15% less than food intake during the winter months. This is likely because of the effects of outside temperatures and differences in daylight length. The seasonal changes in food intake should be properly considered when estimating the daily maintenance energy needs in cats. As the days get longer and warmer, wild animals hunt less and their metabolism adjusts to the change in appetite. Conversely, the lower temperatures and hours of daylight as winter approaches, signals the brain of the animal to eat more and store fat to survive the coming winter. 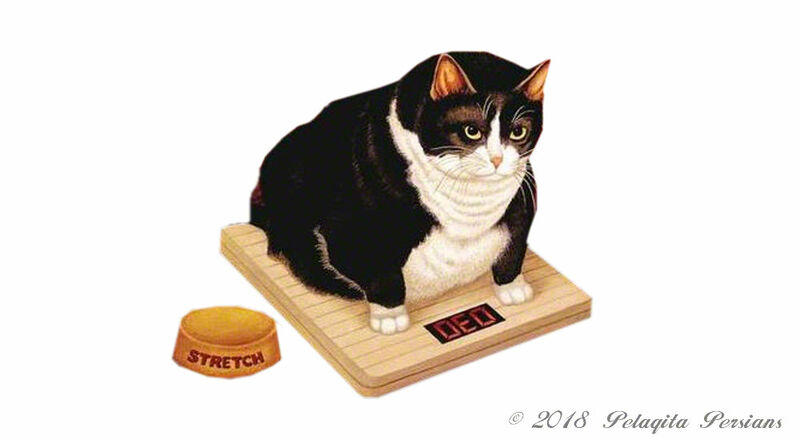 According to the study, while the cats ate more in the wintertime, the difference in the amount of food they consumed did not affect their weight. This supports the theory that domesticated cats have a different physiology than their wild carnivore counterparts. The researchers conclude that cat owners may want to consider the effect of the weather on the amount their cats eat and adjust the amount they feed depending on the time of the year. I know from over 35 years of having dogs and cats, there is a correlation between how much they eat and the time of year.